Place the shrimp in a medium-sized bowl and season with the salt, pepper and garlic powder. Add the shrimp and cook until they are just cooked through, about 1 minute per side. Remember that they will continue to cook a bit after being removed from the pan. 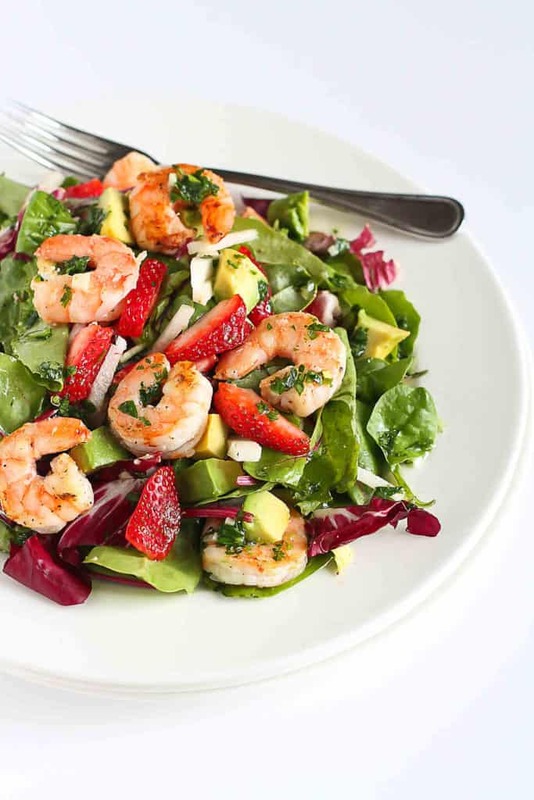 In a large bowl, toss together the shrimp, mixed greens, jicama, strawberries and avocado. Toss with the dressing to coat. Divide between 4 dinner plates. Serve. In a small bowl, whisk together the olive oil, lemon juice, agave nectar, salt and pepper. Stir in the parsley.